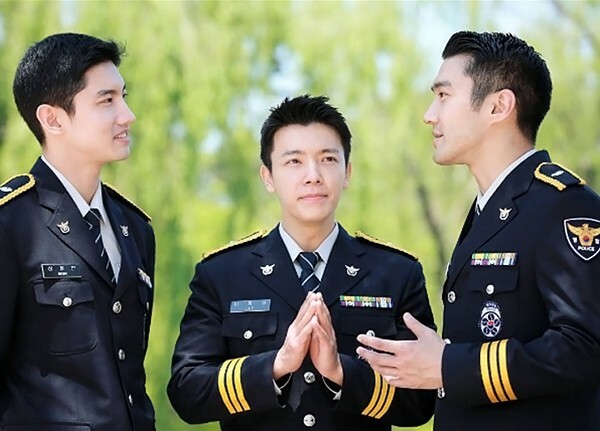 Changmin, Siwon and DongHae are spotted at police training! Recent photos of Changmin from TVXQ and Choi Siwon, DongHae from Super Junior are revealed in their training enlistment. They are still looking handsome. They were taking each other with wearing uniforms. They looked awesome even they had very short army hair. Meanwhile, they are training enlistment in Seoul Police Promotions Unit. ​​Korea.com's Mindy Park contributed to this report from Seoul.